Please be informed that our indoor heated swimming pool will be temporarily closed for quarterly maintenance and pool water change from May 6, 2019, to May 16, 2019, and will reopen on May 17, 2019. We apologize for any inconvenience caused. 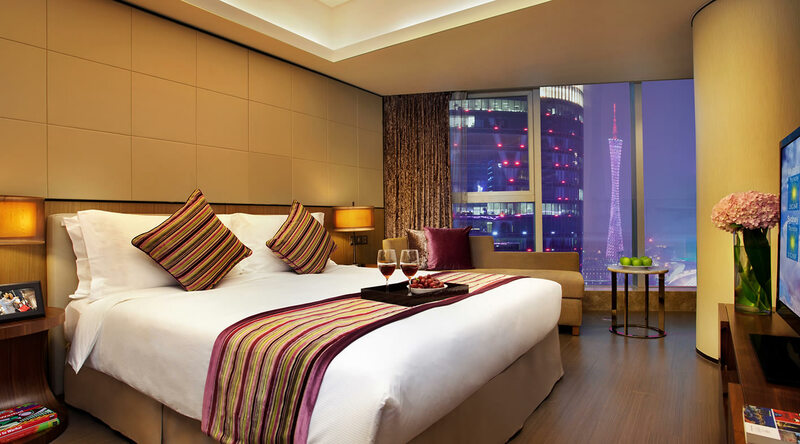 Right in the heart of Zhujiang New Town, Ascott IFC Guangzhou is part of the prestigious Guangzhou International Finance Centre, which comprises a Grade A office building, a five-star hotel, an upscale shopping mall and an international conference centre. 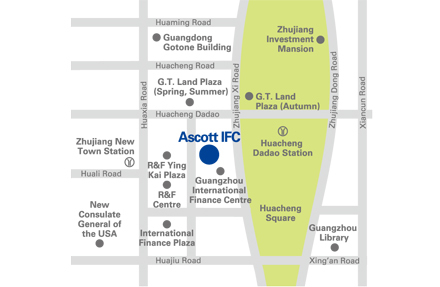 Ascott IFC is located close to the offices of many multinational Fortune 500 companies and foreign consulates. 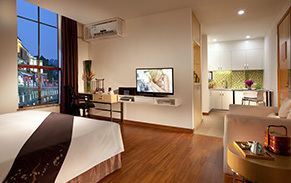 It also has easy access to nearby dining and entertainment venues, shopping centers, cultural and leisure attractions. 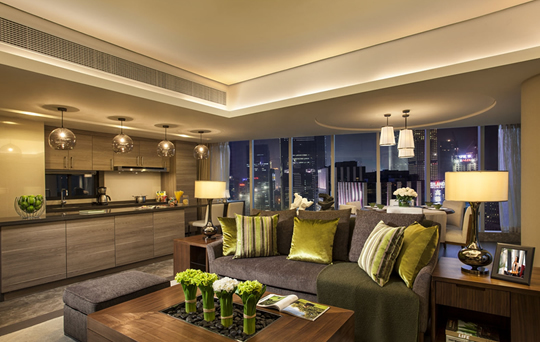 Ascott IFC offers both business and leisure travellers a total of 314 elegant and luxurious apartments. 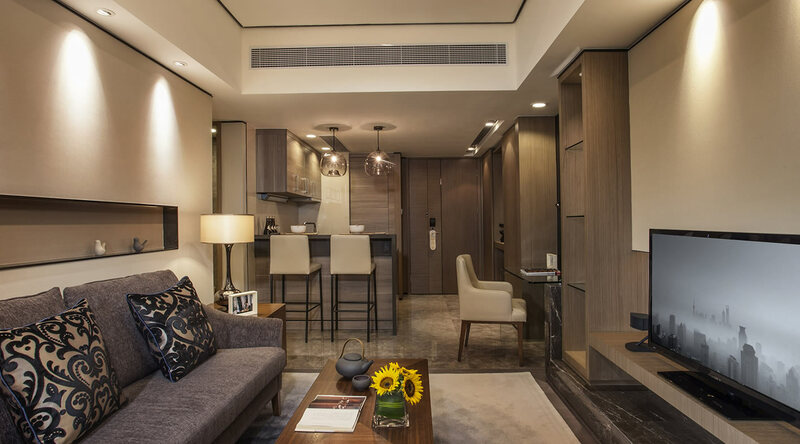 From one-bedroom units to three-bedroom apartments, each comes with a spacious living-dining area, a fully-equipped kitchen and quality family entertainment system, providing both short-term guests and long-term residents the comforts of home. 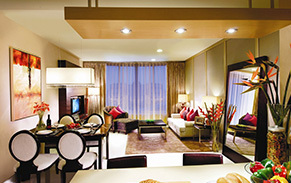 The property is also fitted with 24-hour heightened security services and closed-circuit TV cameras, ensuring that guests enjoy their stay in a safe and secure living space. 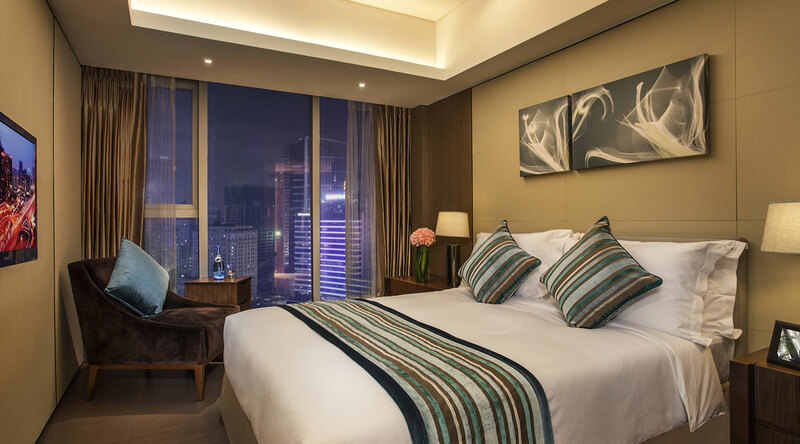 With the availability of high-speed broadband and business support services, Ascott IFC provides a comfortable and conducive work environment to meet your business needs. After work, guests are also welcome to use the residence’s well-equipped fitness centre and indoor heated pool for a workout to soothe your mind and rejuvenate your body. 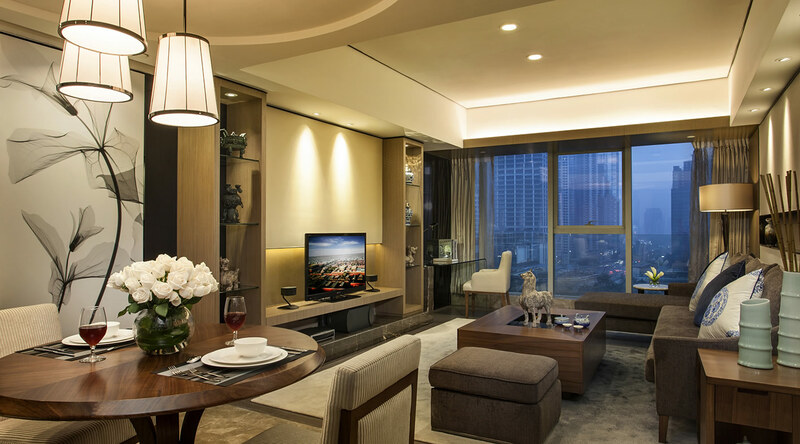 Guests can also participate in resident activities that facilitate business networking, community integration and family recreation. 2019 Chinese New Year falls on February 5, and it’s the year of Pig for Chinese Spring Festival. 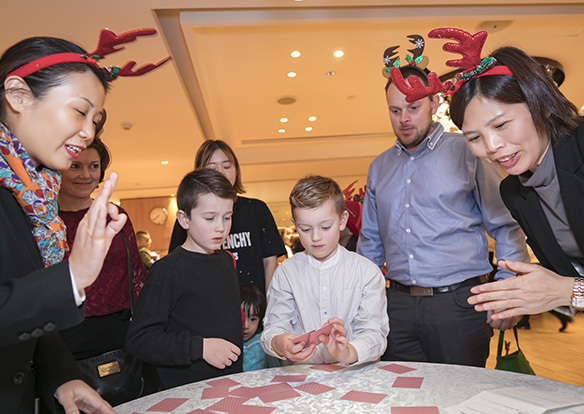 Ascott IFC Guangzhou had the pleasure to invite resident families to compose the Spring Festival Couplets together. We had also invited a calligrapher to compose the Spring Festival Couplets for our residents to decorate their front doors for New Year. 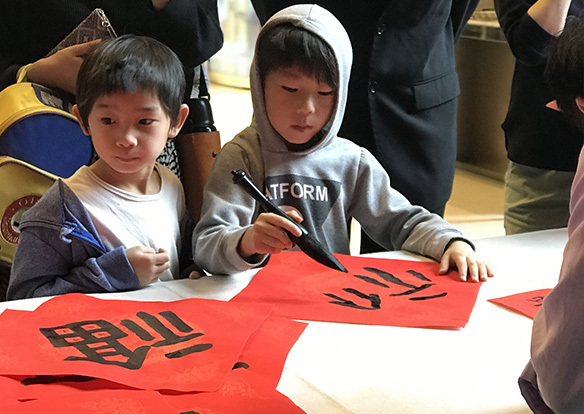 All the children or forein tenants were very exciting to write their first time Couplets in calligraph.Along with all Spring Festival Couplets brought home, we wish all the residents in Ascott IFC Happy Chinese New Year. With the song”jingle bells,jingle bells,jingle all the way…”,we held the Christmas Party on 21stDec 2018 successfully. On the party, we prepared many delicious food,like gingerbread,roast turkey,desserts,and wine,etc for the in house guest to enjoy.To onsure our guest can have fun in the party,we also invited the band to play romantic Jazz music,prepared several funny games for the kids, and had a lucky draw by the end of the party.To memorize the precious moment in this party,we even had a part called”happy photo taking”,which allowed the guest take photos before the decorated wall and printing the photos immediately.It really surprised our guests and did give them an item to keep the moment forever. Every party will go to an end. 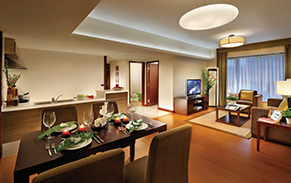 After exchanging the gifts to each other,guest took the photos and presents,and their expectation for the next year,then leave satisfactorily. See you next year! Pomelo is one of the unique fruits in south China special during the traditional Mid-Autumn festival. 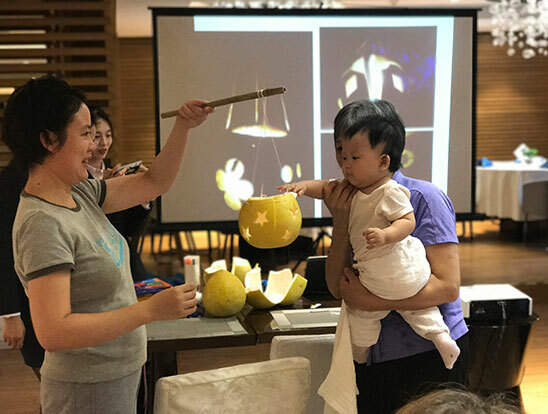 Ascott IFC Guangzhou is invited the residents to participate in the DIY activities of grapefruit lanternsadheres to keeping with the traditional festival custom. Each step is carefully listened to peel, cut, thread, tie..., and they had expereienced how does Cantonese celebrate the Mid-Autumn and also make their own grapefruit lanterns to celebrate the festival. It is apropriate time for family for outing with breathe fresh air in nature and get rid of the city's troubles. 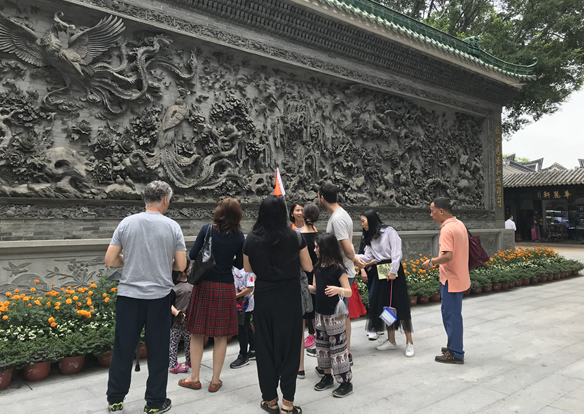 Ascott IFC Guangzhou has been take the residents to visit the characteristics of Lingnan style garden-Bao Mo Garden on Saturday April 21. 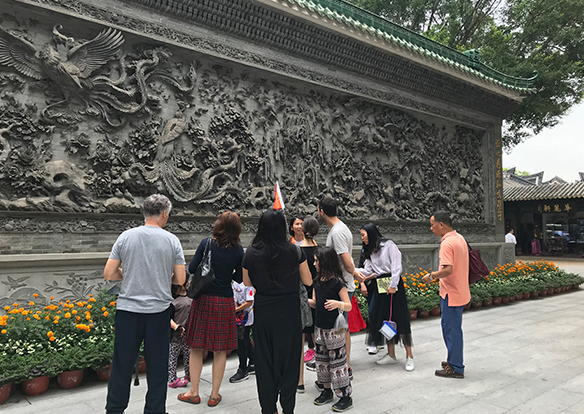 For the residents who has participated in the outing, either they are advanture by themselves or visiting with the tour guide, they said this event is very meaningful and also it is the chance to understand the Chinese traditional culture and getting to know the wisdom of LingNan architecture in their family day. 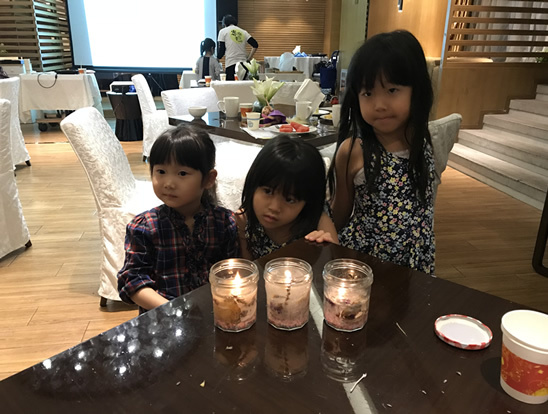 Ascott IFC Guangzhou has invited the handicraft teachers to make a beautiful and practical Jelly Flower Candles on this annual Earth Hour event. The ideas come from our daily life will be discarded bottles and cans to be collected, the glass bottles to be rebuilt. In the activity, we learned about the origin of candles and thousands of years to use the function of candle variety, also gained additional classroom knowledge. In the process of the crafting, we use the existing materials, according to their own understanding of environmental protection, the production of various forms of jelly flower candles. At the end of the Earth Hour event, we will make the candle lit together to wish our ecological environment will be in common efforts to change the better.